If you’ve been involved in a car accident that requires you to get a rental car to resume your daily life, the process can often more complicated than it should be. Another source of forehead-slapping frustration for drivers involved in accidents is dealing with the insurance companies when they’re trying to get a replacement vehicle while their claim is being processed. If the car accident wasn’t your fault and you can’t or don’t want to pay for the rental car yourself, you have the option of filing a claim against the at-fault driver’s insurance company to provide you with a rental car until your car is fixed. However, this is the path of most resistance to get you back on the road, as the other driver’s insurance company will make it more difficult than it needs to be to get your rental car. In fact, they’ll likely take their sweet time processing your claim, which can leave you without a car for time than is necessary. The other driver’s insurance company will typically tell you they need to fully investigate your claim to determine whether it will accept responsibility and provide you with a rental car. That means their investigators will spend days, sometimes weeks, reviewing the police report (which usually takes 5 to 10 days to be completed), talking to witnesses and other evidence of the accident. This process is time consuming and often times makes it more difficult for you to get back on the road. Oftentimes insurance companies will tell you that you they need a recorded statement from you about your accident to determine whether they will accept responsibility, and say that it’s a requirement to get you a rental car. This is in fact not a requirement, and you should avoid providing any written or recorded statements about your accident. Insurance adjusters have been known to ask questions in way that likely lead to answers that are favorable to them in the claims process and, not necessarily, fair to you. The insurance company can also say that it needs to speak to its customer, the at-fault driver, about the accident before it will accept responsibility. If the at-fault driver does not tell the truth about the accident, it can substantially delay your claim and you getting your rental car. We’ve seen both of these scenarios play out with our clients. If you do finally get approved for a rental car through the at-fault-driver’s insurance company, the adjuster may say that you’re limited to a daily limit of $10 to $15 per day for the cost of the rental, which is also untrue, and unfair. Under Texas law, you’re entitled to rent a vehicle that is of similar size and make as the one you’re replacing. For example, if you’re replacing a van or SUV because you take your children to school, you’re entitled to a similar replacement. Another issue that can arise when dealing with the rental is what to do when there is a delay in the repair of your vehicle. For example, if the auto repair shop says that your repair will be delayed because they ordered the wrong part, or because a certain part is on backorder, or another similar problem, the insurance company may refuse to grant you an extension for your rental. Many drivers think that their insurance company will automatically cover the cost of a rental car if they’ve been in an accident that’s not their fault, but that’s not the case. In most modern car insurance policies, drivers have to opt in and pay extra for rental car coverage, which is usually very inexpensive, $1 to $2 extra per month. Despite the low cost, drivers often still choose not to get rental car coverage because they think they’ll never need it. If you do have rental car coverage under your car insurance policy, it will be much easier and hassle-free to get your rental car through your own insurance company, even if the accident wasn’t your fault. In fact, you should be able to get approved for a rental car right away. 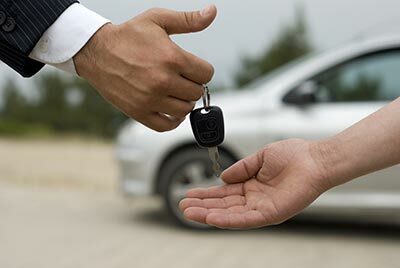 If you don’t have rental car coverage in your policy and the at-fault-driver’s insurance company is dragging their feet, you can choose to rent a car and pay for it yourself and seek reimbursement later as part of your claim. This scenario might occur if you need to be at work the next day after an accident and need a vehicle right away. If you can afford this option, we suggest that you call the at-fault driver’s insurance company and ask them what rental car company they use. We also suggest that you rent a car very similar to your own, as this will make the claim process easier when you seek reimbursement. We also suggest finding an option that is less than $30 per day. Typically, once an insurance company declares your car totaled, it will want you to return the rental fairly quickly. Most insurance companies will you give you a few extra days, but rarely more than three or four days. This can create a difficult situation if you do not prepare properly. If you know that your car sustained substantial damage and you think it might be totaled, you should start thinking about a replacement and making arrangements to buy or lease a new vehicle. Your car insurance company can declare your vehicle a “total loss” when the cost fix your car exceeds the cost of your car’s worth, or what they call “actual cash value.” Companies must follow certain state laws — in Texas, they must use fair market value for their analysis when making total loss determinations. In the case of a total loss, you can file a total loss claim, in which your car insurance company must pay you the fair market value of your totaled car. The fair market value of your car includes depreciation. If you choose not to dispute this claim, you can choose to receive a full settlement according to the fair market value and forfeit the car to the insurance company. You can also choose to get a partial settlement, in which you can keep the totaled car and either repair it or sell it yourself, or you can donate it to charity and receive a tax write-off. If you have a loan or lease for your car when it’s declared totalled, the cash settlement won’t go to you, but the lienholder of the car, such as your banking institution. In the case that you’re “underwater” or “upside down” on your car loan, which means that you owe the lender more than what the car is worth according to fair market value, your “gap coverage” in your insurance policy can help you pick up the check — if you have this type of coverage. Gap insurance protects you from having to pay the difference in this instance. If you still have questions about your entitlement to a rental car or are facing a difficult financial situation and want to know all of your options, contact a trusted legal professional that can help you evaluate all of your options to help you get your life back on track.